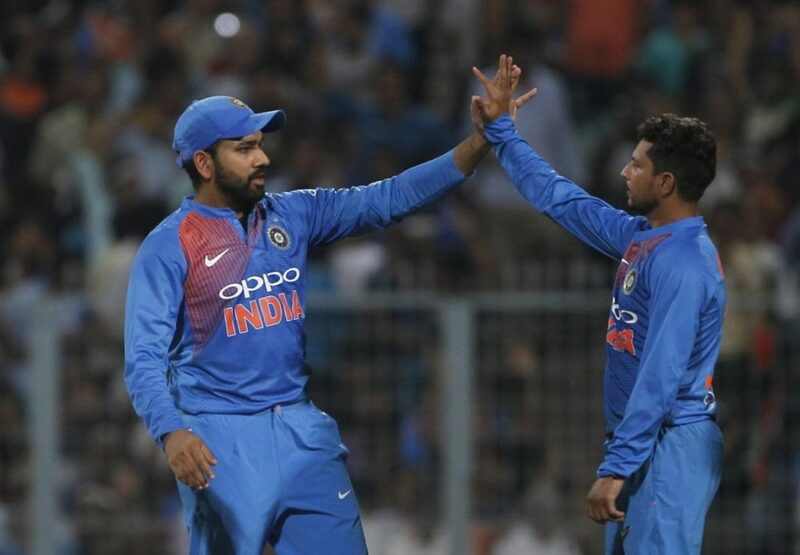 In the first T20I of three-match T20I series at Eden Gardens (Kolkata), Indian bowlers again dominated over the visitors’ Windies batsmen as the visitors have been restricted to 109/8 at the end of first 20 overs. After winning the toss, Indian skipper Rohit Sharma decided to field first. Windies batsmen totally failed to stand against the Indian bowlers as they lost the wickets in regular intervals. Once again, the Windies top-order batsmen failed to provide a good start and it hurt hugely the visitors. Apart from the lower-order batsman Fabian Allen, who scored 27 off 20 balls (4 fours), none of Windies batsmen reached the 20-run marks. Opener Shai Hope (14), no.3 and no.4 batsmen Shimron Hetmyer (10) and Kieran Pollard (14) and another lower-order batsman Keemo Paul (15*) were the other men to play the double-digit knocks in this innings. Among the Indian bowlers, the left-arm chinaman bowler Kuldeep Yadav was the best as his bowling figure was 4-0-13-3. Also, the pacers Umesh Yadav (1/36) & Jasprit Bumrah (1/27) and the debutants Khaleel Ahmed (1/16) & Krunal Pandya (1/15) all took one wicket each. At the no.8 batting position, the Windies batsman Fabian Allen scored 27 runs. 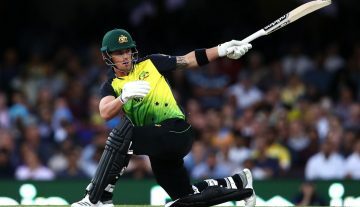 It was the fourth highest T20I knock by a no.8 batsman against India. Indian left-arm chinaman bowler Kuldeep Yadav had the bowling figure of 4-0-13-3. It is the best T20I bowling figure by an Indian left-arm bowler on the Indian soil. Windies managed to score 109/8 at the end of 20 overs. Their lowest T20I total against India. Their previous lowest T20I total against India was 129/7 (20 overs) at Dhaka on March 23, 2014. Oh, West Indies! What is it with you and wrist spin? During Tests it felt that Windies batsmen were playing T20. Such a bundle of talent Kuldeep. He has now got a quick delivery going at 107 kph. His average speed is in the 70s. Krunal and Hardik Pandya – 2nd pair of siblings to appear in T20Is for India after Irfan and Yusuf Pathan.